If you want to increase your metabolic rate, you need to exercise, including resistance work. According to a recent study conducted by the University of Sigulda in Latvia, drinking gin may raise your metabolic rate. 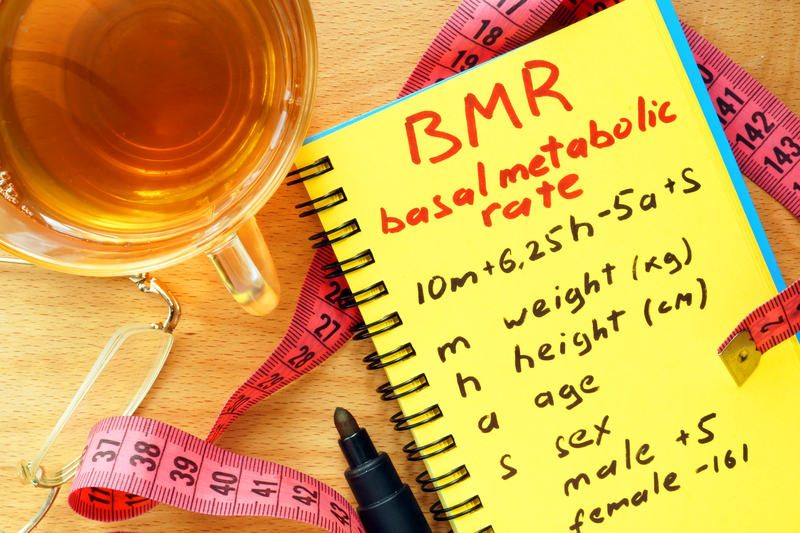 A calculator at www.calculator.net/bmr-calculator.html gives you a basal metabolic rate, using the Mifflin-St. Joer equation. The American Dietetic Association considers the Mifflin-St. Jeor equation for calculating basal metabolic rate to be the most accurate. For example, a 50-year-old woman, 5’6” tall, weighing 130 lbs. has a basal metabolic rate of 1,195 calories per day. But don’t get overly excited. Many less tangible factors affect your metabolic rate, from age to muscle mass to how you eat. Even skipping lunch could change your metabolic rate (and not in a good way). Anyone battling a weight problem probably wants to raise their metabolic rate in an effort to burn more calories. But, alas, raising your metabolic rate is no easier than just plain old dieting and exercise. When discussing metabolic rate, it’s important to understand that your metabolic rate is ruled by your thyroid. The thyroid metabolic hormones thyroxine (T4) and tri-iodothyronine (T3) determine how fast your body burns calories and how easily your body stores fat. If you truly have low thyroid-hormone output, you have hypothyroidism. The symptoms include fatigue, unexplained weight gain, feeling cold, dry skin, thinning hair, depression, and pale skin. A simple blood test will be the first step in determining if you have hypothyroidism. So, you may be thinking, extra thyroid hormones would raise my metabolic rate and help me lose weight. Not so fast. While hyperthyroidism—high hormone output—will raise your metabolic rate, it is a serious disease state, including potentially fatal diseases like Graves’ disease. Common symptoms include bulging eyes, increased heart rate, inability to maintain weight, intolerance to heat, nervousness, dizziness, confusion, and more. Muscle mass raises your metabolic rate. In other words, the more muscles you have, the more calories you can burn. Livestrong.com says that fat burns 2 calories per pound, while muscles burns 6 calories per pound. So muscle has a metabolic rate that is three times as much as fat. This metabolic rate difference is why men seem to be able to eat more than women. Men have more muscle. Clearly, exercise to build muscle is the best to raise your metabolic rate. Weight-bearing/resistance exercises are especially effective, but don’t neglect the cardio to get that done. The more you move and the harder you work, the more you burn. Walking can work for you in raising your metabolic rate. Southern Methodist University researchers Lindsay W. Ludlow and Peter G. Weyand published a study in the Journal of Applied Physiology that showed a “reliable and simple way to determine walking metabolic rates.” As you might expect, “the walking metabolic rate increases in direct proportion to an increase in load, and largely in accordance with support force requirements across both speed and grade,” wrote Weyand and Ludlow. In other words, you can increase your metabolic rate on a walk by carrying weights, walking more quickly, and/or walking up hills. Your diet makes a difference, too. Dehydration will slow your metabolic rate, so you need to drink water and stay hydrated. Eat more frequent, smaller meals. The process of digestion raises your metabolic rate. Do not skip meals, as not eating will slow your metabolic rate, especially if you consume too few calories overall. Crash diets (those where you consume under 1,200 calories per day) will cause your body to use up muscle mass as fuel, which will further lower your metabolic rate. What you eat matters, too. A tablespoon of chopped chili peppers can give your body a temporary boost to your metabolic rate. When you eat more protein—lean meats, nuts, beans, and eggs—your body will work harder to digest proteins than fats or carbohydrates. And when it’s working harder, it’s using more calories, increasing your metabolic rate. It’s no surprise that caffeine raises your metabolic rate, since it naturally increases your heart rate. Both coffee and tea can give your metabolic rate a temporary boost, but two to four cups of green tea can cause you to burn 17 percent more calories than usual. Unfortunately, growing older naturally lowers the metabolic rate, and sometimes genetics play a role, too, in establishing our natural metabolic rate. There’s little we can do safely about that beyond increasing our exercise and building muscle mass. A study accepted for publication in Journal of Clinical Endocrinology & Metabolism found that higher a metabolic rate predicts early natural mortality, indicating that higher energy turnover may accelerate aging in humans. However, it depends upon the type of energy. 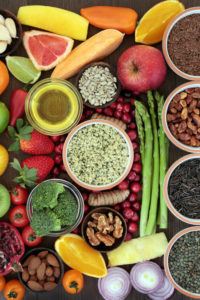 Despite the overwhelming number of ads on television and in magazines that claim to be weight-loss supplements, don’t look for a quick-fix to raise your metabolic rate. Two 2010 studies presented at the International Congress on Obesity in Stockholm, Sweden, tested the supplements L-Carnitine, polyglucosamine, cabbage powder, guarana seed powder, bean extract, Konjac extract, fibre pills, sodium alginate formulations and selected plant extracts for their fat-loss abilities. The researchers found they were no more effective than the placebos they were compared with. “There are scores of slimming supplements out there claiming weight-loss effects through all sorts of mechanisms of action. We have so-called fat magnets, mobilizers and dissolvers, as well as appetite tamers, metabolism boosters, carb blockers and so on. The market for these is huge, but unlike for regulated drugs, effectiveness does not have to be proven for these to be sold,” said Dr. Thomas Ellrott, head of the Institute for Nutrition and Psychology at the University of Göttingen Medical School, Germany, who lead one of the studies. “Few of these supplements have been submitted to clinical trials and the landscape of products is always changing, so we need to put them through rigorous scientific evaluation to determine whether they have any benefit.” Until that happens—if it happens—get out, walk, and work those weights. aging, appetite, caffeine, calories, carnitine, coffee, dehydration, depression, diabetes, diet, digestion, digestive, dizziness, dry skin, exercise, fat loss, graves disease, green tea, health, help me lose weight, hormone, hyperthyroidism, hypothyroidism, Lose Weight, metabolic rate, metabolism, mortality, muscle, muscle mass, nervousness, nutrition, nuts, obesity, protein, skin, supplements, thinning hair, thyroid, thyroid hormone, underactive thyroid, underactive thyroid symptoms, underactive thyroid symptoms in women, weight gain.